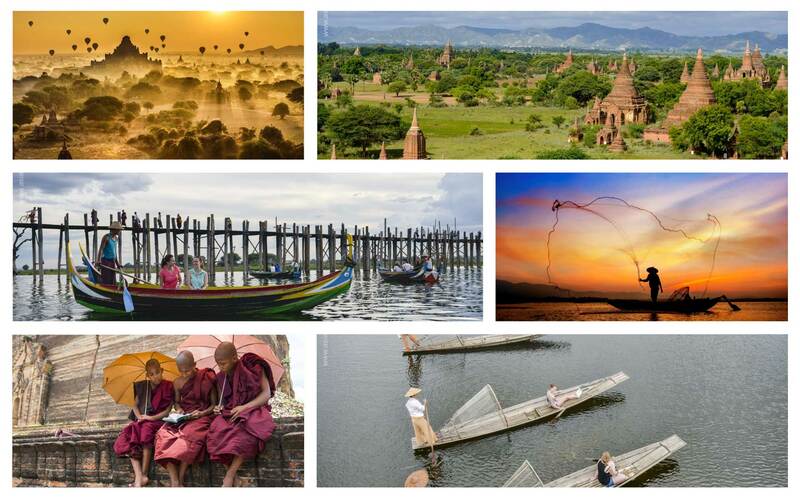 Dear Jack and the team at Myanmar Tours! I just wanted to let you know that we had a wonderful time in Myanmar and to thank you for organizing everything so smoothly for us. We were so impressed by the country we are already planning our return! Thank you for your patience with our constantly changing schedule. The guides were on the whole very good and knowledgeable, the flights all left on time and arrived on time (if not early - better than most international flights we have been on!) and everyone was there to meet us as arranged. The mini buses were very spacious and comfortable, with water & welcome cool towels supplied, and the excellent drivers made us feel very safe. Accommodation in Bagan, Mandalay and Inle Lake was of a good standard and the Hotel 7 Mile was fine for a short overnight stay - I would not recommend it for any longer stay, as it is a way out of town and very basic, with no facilities.Thanks again, we will be recommending you to our numerous friends who are all keen to travel to Burma after hearing our stories and seeing the incredible photos! Thank you very much for your warm greetings. I must apologise for not giving you some words so late until now. It was a paradoxical that I dislocated my left shoulder accidentally inside the flight from Heho Airport to Yangon in the evening of 12 November 2016 (around 1715hrs. ), just before took off. The crews of the flight requested me to leave the flight as I was not suitable to fly with them back to Yangon from Heho. On this occasion, I left the flight at once and sought medical service at once. Fortunately, I was admitted to a hospital in Taunggyi township which was for foreigners. Everything backed to normal at about 2015hrs but I needed to stay in Taunggyi Hotel on 12 November 2016 and paid extra for the hotel. The airline company was also very helpful and they let me change the flight to 13 November 2016 without any extra charge. I went back to Yangon in the afternoon of 13 December 2016 and your guide, Mr. Lin and the driver pick me up in Yangon Airport. I also changed my flight to Hong Kong on 14 November 2016 insted of 15 November 2016, one day earlier back to Hong Kong. Your guides in Yangon, Heho, Kalaw and Inle Lake were very helpful, friendly and responsible. The guide in Kalaw provided assistance for me at once when she learnt that I hurted myself accidentally. Please pass my greetings and my heartfelf thankness to you and all your colleagues. Hopefully I can have long holidays next year and I must visit Myanmar again.